In a big conference you need people who can turn one language into another in real time. This of course is something of an art, because the interpreter has to convey the meaning of a series of ideas that are still being formed. It demands a high level of attention and alertness, with the interpreter conscious of all the the non-verbal aspects that are going on in the room. That’s why a booth is designed to give the interpreter a good visual access to the podium. It’s also why the booth is designed for two people. Taking turns in 20 minute shifts it’s one interpreter on, and the other taking a short break. 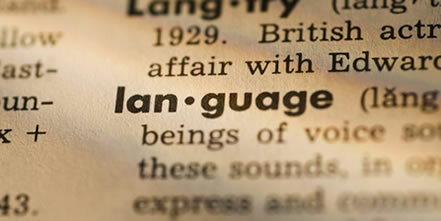 It’s worth checking your interpreters are a good fit for the languages they’re working with. If they’re Portuguese, are they European Portuguese or Brazillian Portuguese? It can make a difference to the results you get. But there are other ways you can guarantee better results for your conference. Do your interpreters a favour by making sure they have a glass of water each and the temperature in that part of the room is comfortable. All our translation booths are fitted with fans with low vibration motors that won’t interfere with the conference. The wellbeing of your team matters: When you’re working that hard it helps to have a good environment.